We take our work and your safety seriously. Our staff members are highly trained in cross contamination and methods of medical-level cleanliness. They are certified in bloodborne pathogens, first aid, and CPR. Each of our professional piercers are members of the Association of Professional Piercers, and attend their annual conference in order to continue developing their skills. Jessica has been piercing for more than 13 years. She fosters a relaxing and calm atmosphere while sharing a few good laughs with clients. From simple ear piercings to more complex constellation projects, Jessica is devoted to giving her clients something they will love. She makes it a point to stay on top of the latest piercing trends. Jessica has also traveled to the Middle East several times to show off her wide range of piercing skills and bring safe piercing to the region. As our lady Goldfinger, Jessica works with our top notch gold jewelry manufacturer, BVLA (Body Vision Los Angeles). She loves helping clients create one-of-a-kind pieces to adorn themselves with. Aside from piercing, she has a massive record collection, loves to travel, and is a great bowler. Jessica also enjoys anything having to do with horror movies and oddities. She loves spending holidays at Disneyland. Send Jessica an email at [email protected]. Jessica is absolutely amazing. She is kind, friendly, gentle, and has a way of making things a lot less awkward. The facility is also VERY clean, and the rest of the staff are helpful and friendly as well. After care instructions are clear and easy to understand, and they provide you with good products to care for your new body modifications. I highly recommend Black Hole for your body modification desires. I had a great experience at Black Hole Body Piercing. Jessica had all the answers to my questions and was quick about the actual piercing part. 10/10 would recommend to a friend. Jen began her career in 2005 in a small town in Louisiana. She loves piercing culture and her clients inspire her. Jen’s calm and comfortable attitude helps clients feel at ease. She loves helping each person get the look they want. Currently, Jen’s favorite piercings include rooks, nostrils, and good ol’ earlobes, but all piercings excite her. Let her add one of her favorites for you soon. When she’s not at work, Jen likes enjoying a brew by the river, taking her doggie to the dog park, and checking out live music. Contact Jen at [email protected]. Thank you Jen :) she was quick and fast thank you!!!!! I don’t usually leave reviews, but i just went here today and got my nosed pierced by Jen and she was FREAKING AMAZING!! I was worried it would really hurt and bleed a lot given some horror stories I’ve heard, but this was NOTHING! I’d go back to Jen for every piercing … thanks Jen!! 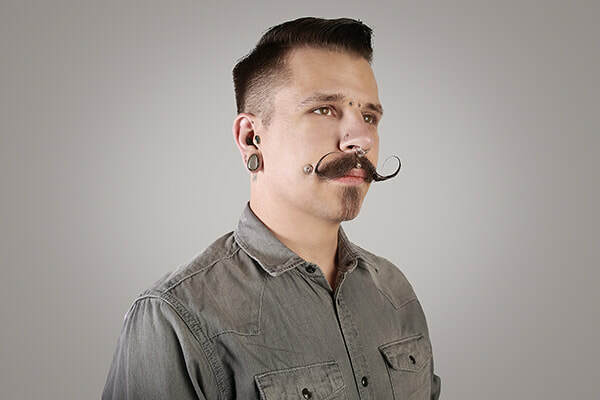 Josh is a Midwest born and raised body piercer with an enthusiasm for riding motorcycles, traveling, spending time in nature, and loving all things gold. He’s had a passion for the piercing industry since he was a teenager and he doesn't see that dwindling anytime in the near future. He has been piercing for seven years and is excited to get the chance to pierce in Northern Nevada now that he is a full time part of the Black Hole staff. Josh was absolutely fantastic! He was hilarious, we had a great conversation before, and he did a wonderful job with my conch piercing. Got my rook done by Josh and it was an amazing experience! He was very honest and open with how the piercing would go and he was completely accurate! ​ Angela is the owner of Black Hole Body Piercing. With over 25 years of piercing, Angela is the most experienced professional piercer in her hometown of Reno, Nevada. Clients travel far and wide for her skills and expertise. At Black Hole, she strives to provide the best customer service possible. 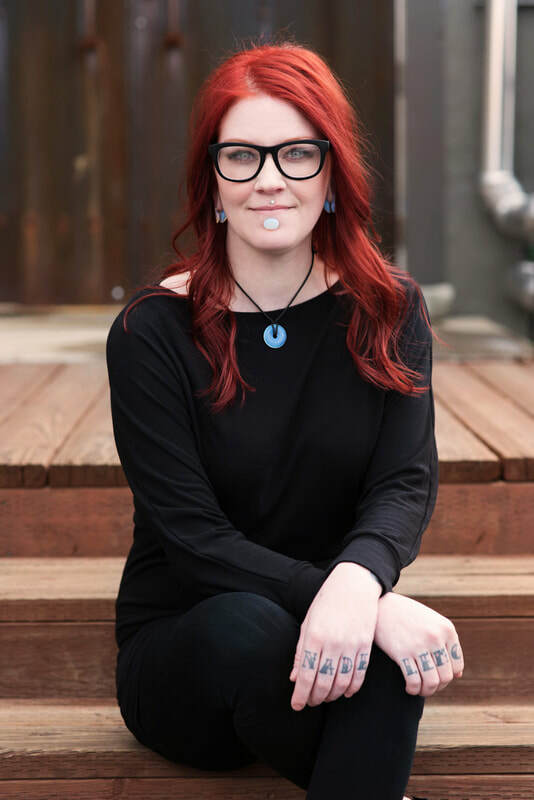 Her staff inspires her every day, keeping the business fresh with their ideas and passion for the piercing industry. Angela credits Black Hole’s ever-growing success to making customer service the highest priority. Angela has been given many incredible opportunities due to her work in the piercing industry. For example, she recently traveled to Saudi Arabia and the UAE. While there, she led a team of professional piercers in sharing state of the art piercing practices with quality body jewelry. She focused on education and safety. Working within another culture and sharing the diversity and uniqueness of body art was the opportunity of a lifetime.